The story goes on. 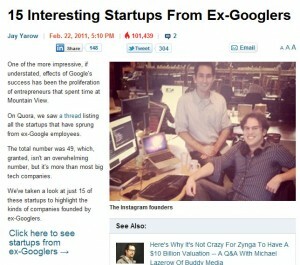 I read today (thanks to Burton Lee) 15 Interesting Startups From Ex-Googlers from Jay Yarow. He found that since 2004, 49 spin-offs were created by former “Googlers”. Because it was a work in progress, apparently the number has increased to more than 70. See slide 2 of the pdf. As a conclusion, let me add a study by Junfu Zhang who compared Silicon Valley to the Boston Cluster, in terms of how many entrepreneurs left their big company. 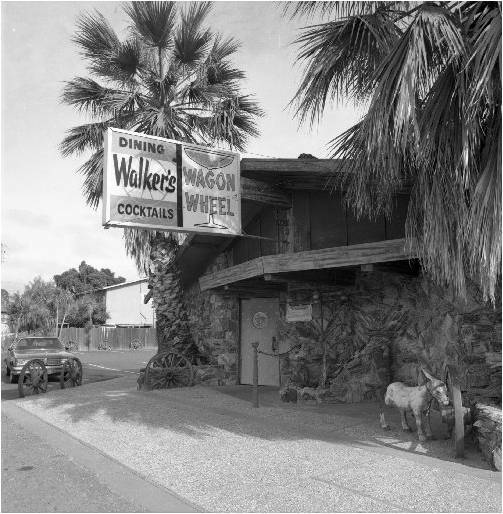 He showed the big difference there was between the two regions that both Newton and the Wagon Wheel bar explain in terms of culture. This entry was posted in Innovation and tagged Google, Silicon Valley on February 25, 2011 by Hervé Lebret. Pingback: Start-Up: the book » Blog Archive » What is (open) innovation ?